There's something about a well-organized kitchen that gives me a sense of accomplishment. It amazes me that after all I put my little kitchen through, sometimes using what seems like every pot and cooking utensil I own, it manages to all come back together in the end. 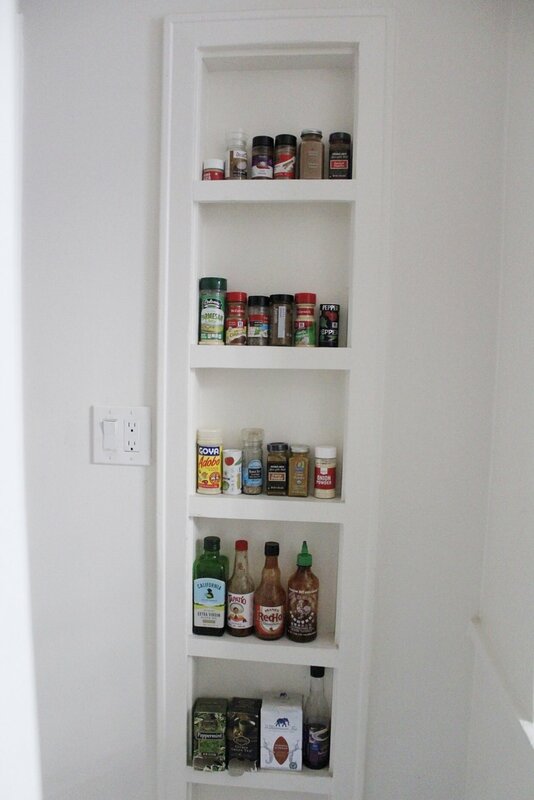 After my shelving and backsplash projects, I thought it was pretty much a done deal on kitchen projects until I caught a glimpse of my built-in spice wall.I'm not sure how I never noticed before, but after being away for the holidays I came home, walked in the kitchen and suddenly felt my OCD kick in. 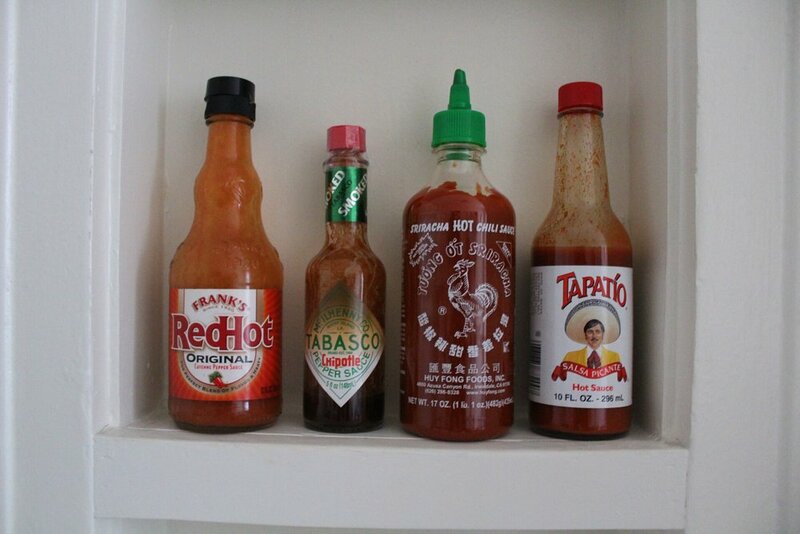 Now faced with a collection of mismatch spice jars and hot sauce bottles that had accumulated after many trips down the spice aisle, I was forced to channel my inner visual merchandiser and restore order in my, once organized kitchen. 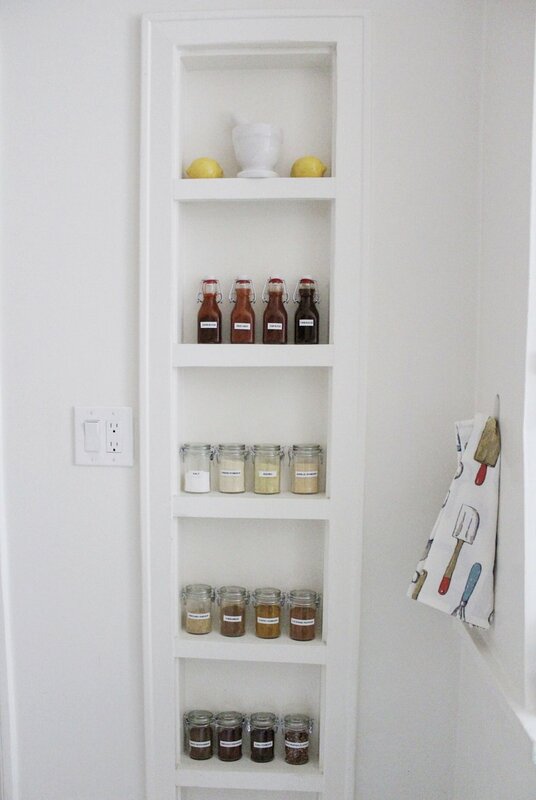 The goal was to keep it clean and simple, so the first step was finding a new home for all of my spices. 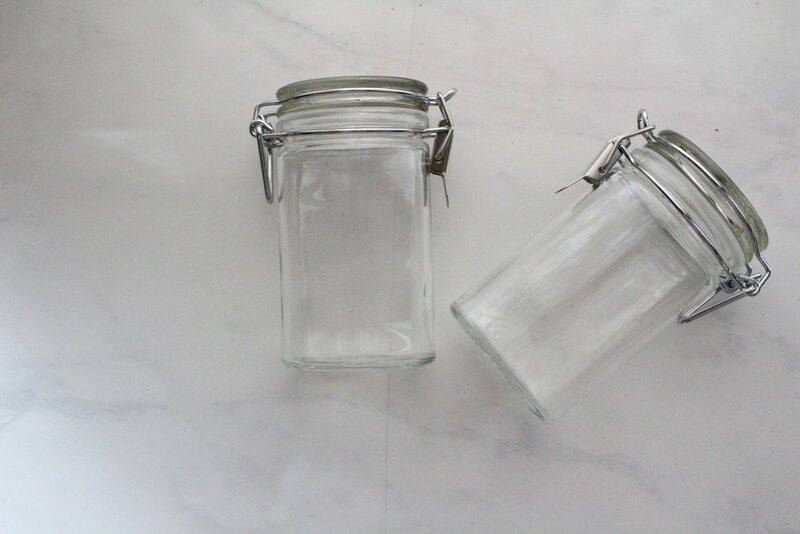 After a visit to, what seemed like every home store in La, I found these cute oval-shaped spice jars with clamp closure at Crate and Barrel. 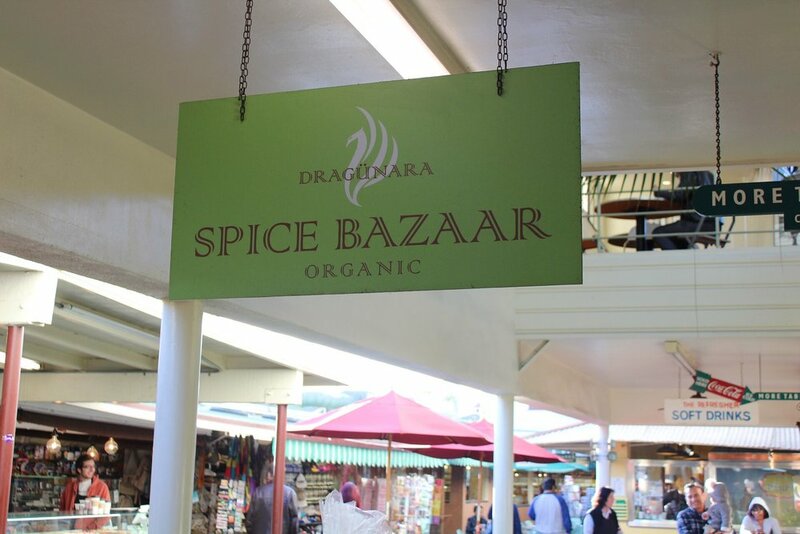 This project also made me realize that I needed to diversify my collection of spices, which led me to the spice bazaar at the LA Original Farmer's Market, called Dragunara. It was a bit overwhelming at first, but I was lucky enough to be the only customer, at the time, so the sales lady gave me a guided tasting tour and convinced me that I would never want to cook and poultry or fish again without their black garlic seasoning. I'm one to be easily persuaded by sales people but if it tasted as good as it did on my finger, I knew it would be 10 times better on real food. So for now, I'll say that my kitchen is complete, but who knows ... that could change next week lol.